Perhaps you prefer the sands of Egypt lending their blinding heat to a dark room, or the Great Race of the Sands to reflect the boundless energy of a child. 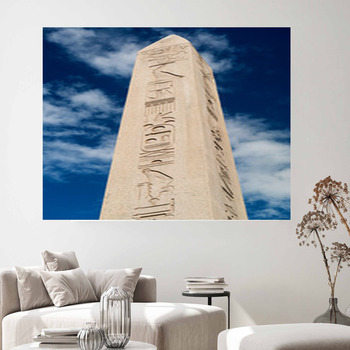 Picture your custom wall art design following the elegant and mysterious lines of the pyramids. 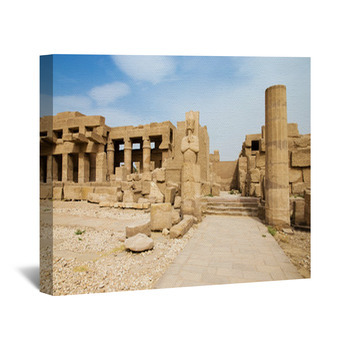 Our Egyptian designs are taken from only the best digital photography and blown up to life-sized art. 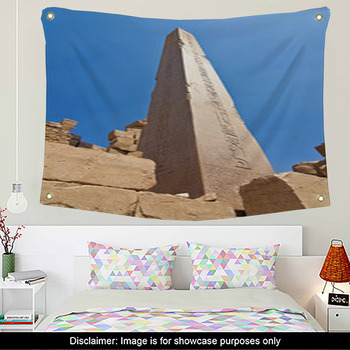 Your room is now a genuine work of Egyptian themed wall hangings, posters, murals and even gallery wraps that are unique to you. You aren't limited by someone else's idea of tasteful Egyptian decor. 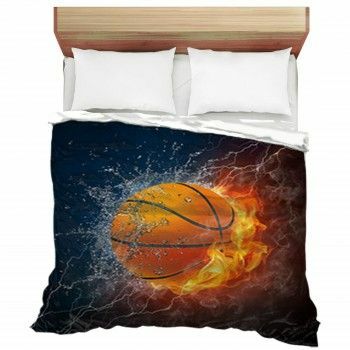 Your friends and family will ooh and ahh over your dramatic Egyptian wall art while finding the warmth and comfort you want to reflect in your room. 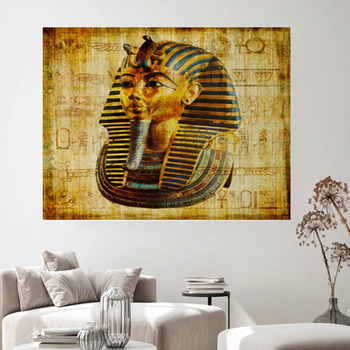 You don't have to be King Tut to be surrounded by ancient Egyptian ruins and hieroglyphs with Egyptian wall murals and wall stickers from VisionBedding - you can turn your walls into 360-degree views of Egyptian history - think pyramids and camels, Cleopatra and mummies when you discover the extensive Egyptian designs to choose from. 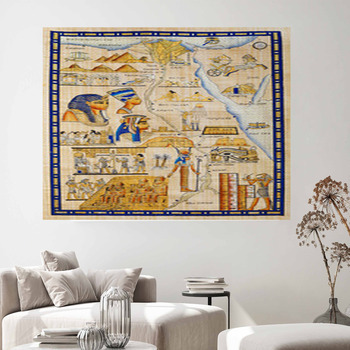 Walls adorned with papyrus paper, ancient drawings of royalty and the everyday happenings of ancient Egypt are only a small part of what there is to love about Egyptian culture. Rich colors and textures add dimension and life to normally plain walls in no time at all! The nearly 2000-year-old artwork from ancient Mesopotamia doesn't have to stay in a museum. Instead, it embellishes walls that are less than 70 years old turns it into an unequaled space that you can enjoy. 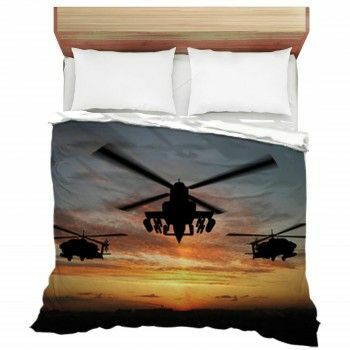 From an office room background to a bedroom sanctuary, an Egyptian mural is meant to enhance a space for any Egyptian enthusiast. From children who dream of becoming an archaeologist to the history aficionado, the myths and mysteries of Egyptian culture have astounded people from all over the world. A civilization that rose to great heights and yielded the pyramids that are admired by tourists every day is easy to see why so many enjoy decorating with this style. 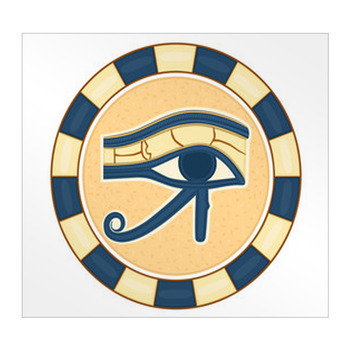 The gods and goddesses, pharaohs and mummies represent life and fascination of a great time in history. 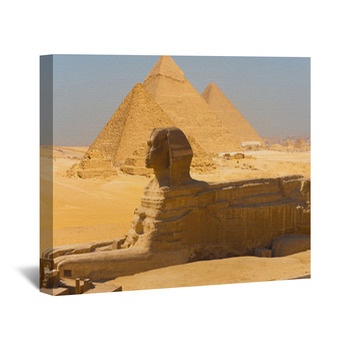 No matter what your specific interest the pyramids of Giza, the great sphinx, Ra the sun god you'll find a custom size Egyptian wall mural to fit any wall in your home. 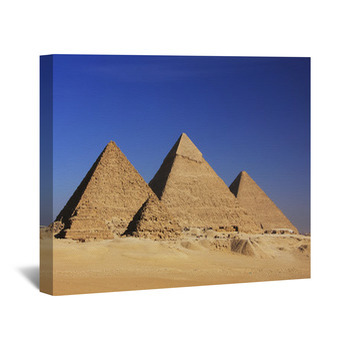 Maybe a photo of the sun setting on the pyramids or camels walking along the sea is what you desire, with hundreds of unique Egyptian wallpaper mural designs, there's the perfect one waiting to put on your wall. At one point, murals were seen as impossible tasks, as everything had to be painted. 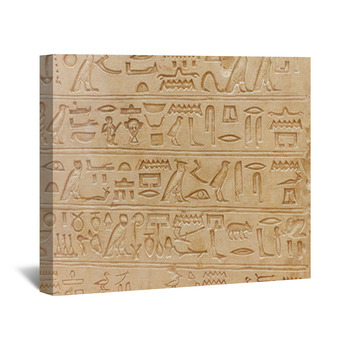 However, with new technology, you can place a 2000-year-old Egyptian replica on your own wall as easy as 1, 2, 3. 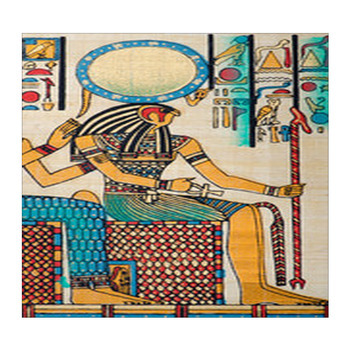 Having passed down so many technologies including numbers, counting, measuring, embalming and funeral ceremonies, its no wonder that the Egyptians also give us a unique style of decorating that many seek. 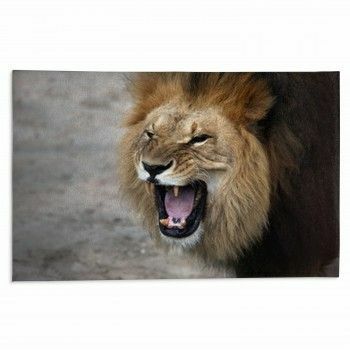 And if this culture is what intrigues you, then it should be displayed on your walls in a proper manner. What is it about ancient Egypt that fascinates us so much? For whatever reason, most people are intrigued by the pyramids, the mummies, Egyptian hieroglyphics, the Sphinx, and more. And all of these look especially stunning on a wallpaper. Your custom wallpaper for the house will bring an element of the mysterious and the exotic to any room with matching long egyptian curtains. 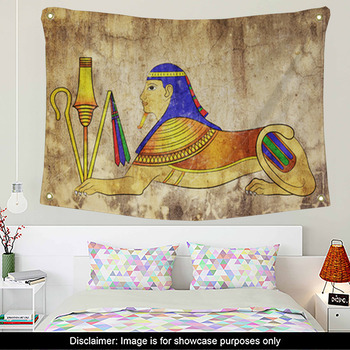 We've found that both younger kids, as well as teens, enjoy the Egyptian motif in their bedrooms. And in fact, school teachers also find value in decorating their classrooms or their day-care centers with Egyptian wallpaper murals.